While humanity is well aware of the universal existence of blood transfusions, make note of a few details that may augment life threatening situations. Did you know that blood can be broken down into its components during the transfusion and only the platelets or plasma could be transfused besides whole blood? Which diseases would require whole blood? Have you heard of apheresis? Did you know that you can donate blood for your own use like posting a letter to yourself? Accidents when blood is lost or surgery that is an exercise in bloodletting would require such a replacement of the lost precious liquid, the elixir of life that is the single most precious commodity without which life cannot exist. The blood from the donor is transfused into the recipient’s body to help certain conditions. Can infections occur though blood? They can but the chances are so small that they hardly exist. Yet screening processes do take place like for HIV. The safest blood transfusions then would be to receive your own blood if you are anticipating an elective surgery for instance. But then preparations need to be done well in advance and not all are eligible. Blood banks do a noble social service all right by collecting blood donations often voluntary and storing it for emergency use. The blood bank collects tests and stores the blood, ready for use. The problem is that blood does not have a long shelf life. Blood transfusions are thus sometimes a hit and miss story with frantic searches for the matching blood type when the bad times actually occur. The O blood group is recognized as the universal donor that is safe to transfuse to anybody. A vast system does exist of blood banks across the spectrum of society with people encouraged to donate blood that is a simple, safe procedure. Registrations online indicate the contact details of potential donors and their blood groups to contact during emergencies. While bloody nightmares are not really necessary with the extreme care provided by modern medical science, it would help to be familiar with the facts. If you happen to face such a situation, beware of fever and chills, itching or shortness of breath during the transfusion. The medical staff should be informed immediately. The two types of blood transfusions are with autologous blood and donor blood. Strange as it may sound, autologous blood means the receiving of your own blood. How does that happen? 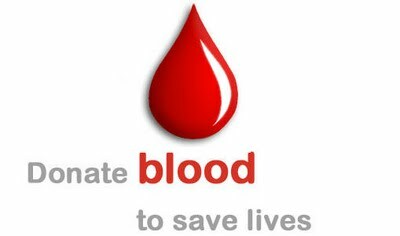 In this case, you would donate your blood well before the planned surgery. Since blood is lost during surgery, your own blood gets recycled into your body. Smart, isn’t it and the safest way to receive blood. Recycling your blood during surgery could take place too. Blood lost during surgery could be recycled back after surgery. Sometimes, blood is removed before surgery and replaced by IV fluids with the blood returned later. If you’re a video game enthusiast, you probably might have heard of the online game-Candy Crush Saga. This highly popular and engrossing online puzzle game can now be installed and downloaded on Android-powered tablets and smartphones. The game is about speeding animatedly and breathlessly against time where you are required to find 3 identical candies and position them either in vertical columns or horizontal rows. The manner in which Candy Crush Saga is played is quite similar to Magic Sushi-another well-admired online video game. The Candy Crush Saga for PC can be played for free though you’d have to pay for some game-up gradations but that is purely an option. The file size of Candy Crush Saga for PC is 31.56MB and the edition or version is 1.0.5 and for installing and downloading this game, you’ll need to have an Android gadget. As far as download and installation of Candy Crush Saga for PC is concerned, you can either follow the ‘online game’ procedure or the ‘emulation method’. Instructions for downloading and installing the game have been enumerated below for both the methods. Just go through the guidelines for both and opt for the one that you find suitable. The Emulation technique is a little more complicated compared to the online strategy. The .apk file can be sourced from Google. Following download of this file, you’ll need to click twice on the same for installing the game in a couple of minutes.